Today was our first day back to work. We had a couple meetings this morning and then had our parent meet and greet. I had most of my kiddos come in and they are soooo cute! Oh my goodness!! Several of them are just beyond adorable. I can already see their different personalities and I think this year will be so much fun! Click on the picture to download it! 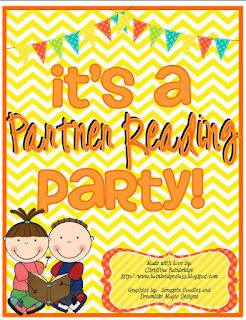 One of my favorite bloggers, Christina Bainbridge, gave away her new It's a Partner Reading Party Pack last week and asked that I give it a review on my blog. Let me tell you....it is amazing!! She has thought of everything! 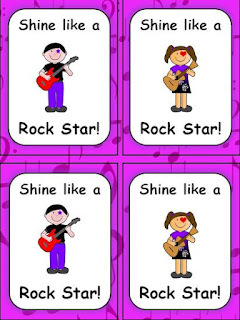 In this pack you will receive signs to hang up in your partner reading area and a poster with directions of what your kiddos should be doing. There are also 5 spinners for the kiddos to use while they read. I know my kiddos love reading with a partner and now I have some accountability that they will enjoy! They read, use the spinner, and then answer questions about what they just read. There is a fiction spinner, non-fiction spinner, and 3 spinners to discuss reading, characters, and words. 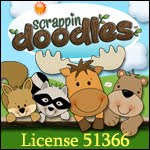 Click on the link above or the picture here to go purchase this wonderful pack for only $5.00! Make sure you visit Christina too! Tomorrow is my first full day with my kiddos. I can't wait to meet the rest of them!